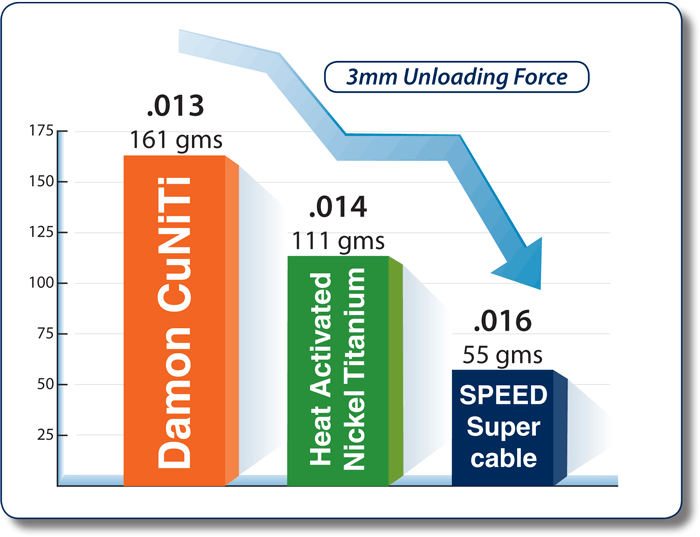 SPEED Supercable... designed specifically to deliver less force! 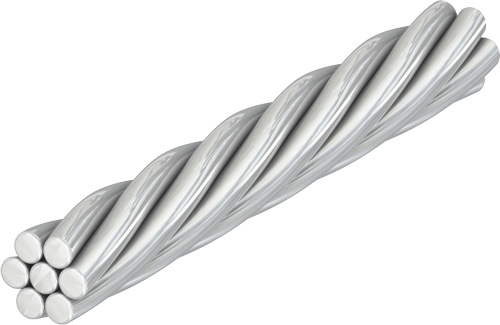 Supercable has revolutionized initial archwire design by combining the metallurgical benefits of nickel titanium wire with the mechanical advantages of a coaxial design. The result is an archwire that imparts extremely light forces when subjected to severe deformation. 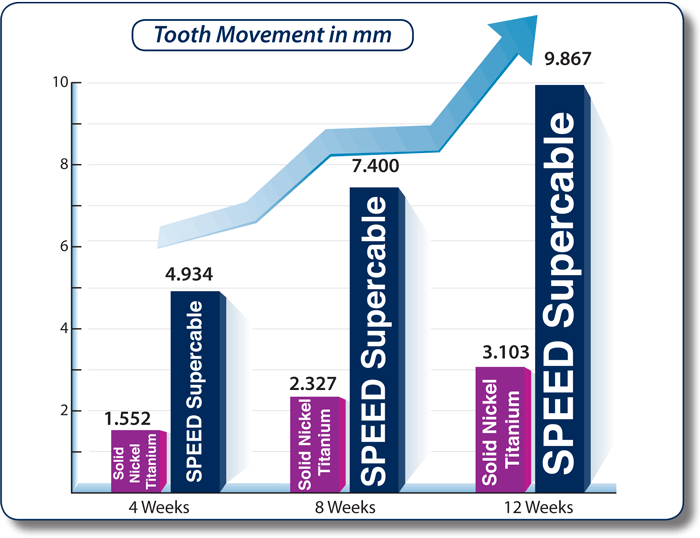 To clinically evaluate the alignment efficiency of 0.016 inch coaxial superelastic nickel titanium (Supercable) and 0.016 superelastic nickel titanium in the lower anterior region over a period of 12 weeks. • Alginate impressions were taken for each patient at 4, 8, and 12 weeks, and measured using a coordinate measuring machine to determine degree of alignment. Superelastic coaxial NiTi wires (Supercable) exhibit a statistically significant difference over superelastic single-stranded NiTi in their alignment efficiency to relieve lower anterior crowding after 4, 8, and 12 weeks. Compare force levels generated by four different groups of Nickel Titanium initial archwires. • The three point bend test was used in this study. This test is the "gold standard" for comparing force deflection characteristics of wires as it eliminates confounding variables and is easily repeated by 3rd parties. • Testing was carried out at a rate of 1mm / minute. • The entire test assembly was contained in a thermally regulated test chamber set to 37 degrees C (body temp). The multistranded coaxial nickel titanium archwire (Supercable) demonstrated a significantly lower unloading force at a 3mm deflection than any of the other wires. The 55g of force imparted by the .016" wire was the lowest force recorded in the entire study.